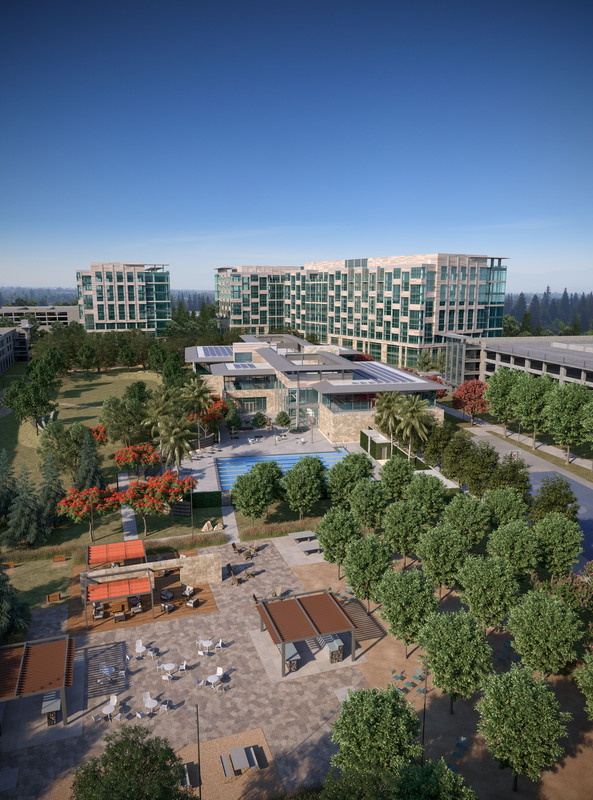 Expansive landscaped open areas provides ample space for BBQs and recreation. 59,648 SF state-of-the-art fitness facility helps recruit and retain a happy, healthy and fit workforce. Located at the intersection of highways 237 and 101, Moffett Towers II provides immediate freeway access. An easy commute is available via light rail line or the shuttle to Caltrain. Whether by car or rail, options abound.